GeGeGe no Kitaro is a modern update to the decades old anime franchise, and Toei Animation blesses us once again with a return to the world of yokai and humans. It’s a perfect show for the Halloween season, complete with a great mix of scares, shonen battle action, and daily life lessons. It’s scary, funny, and heartwarming for those interested. The show follows the adventures of a boy named Kitaro – the last survivor of an extinct group called the Ghost Tribe. His father, Medama-Oyaji, is a reincarnated spirit taking the form of an eyeball, and often assists Kitaro in resolving conflicts between the Yokai and human world. Also coasting along with Kitaro are the yokai Neko-Musume, the trickster and half rat/half human hybrid Nezumi-Otoko, the mischievous Konaki-Jijii, and his comic foil Sunakake Babaa. 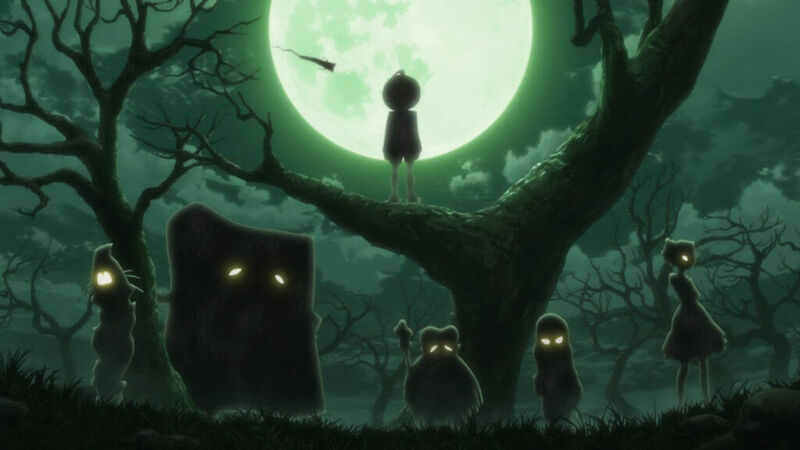 If you’re up to the task of sticking around for 50+ episodes, GeGeGe no Kitaro will no doubt pique your curiosity for Japanese folklore and the supernatural. Although it certainly adopts a “Monster-of-the-Week” storytelling method, it works brilliantly here because the monsters are great features of the show. Each and every new episode offers a fresh, enjoyable viewing experience. So let’s talk a bit about what Kitaro has to offer for your Halloween viewing. 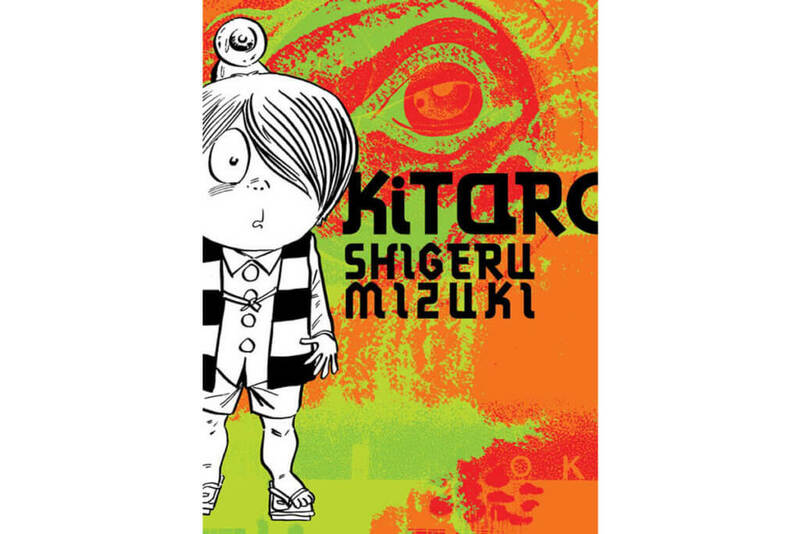 GeGeGe no Kitaro is based on the 1960s manga of the same name by Shigeru Mizuki. 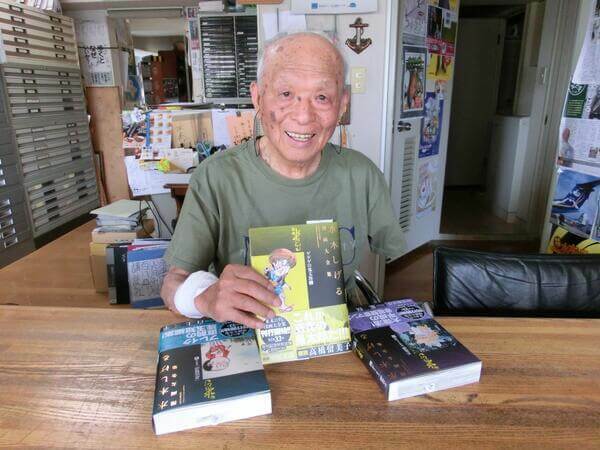 His name may not be all that familiar with Western readers, but he is very famous in Japan for his work on the series. Mizuki’s hometown of Sakaiminato city in Tottori prefecture features many iconic statues of Kitaro and his friends to honor Mizuki’s legacy. He also contributed to the anime series’ signature theme song that’s been used in all iterations of the show. As a manga artist, Mizuki stands out from the rest. He was a war veteran who returned from the Pacific War with only one working arm after a devastating accident. Soon after, he began exploring themes of war and reconciliation through manga, while also drawing upon his childhood fascination with Japanese yokai. 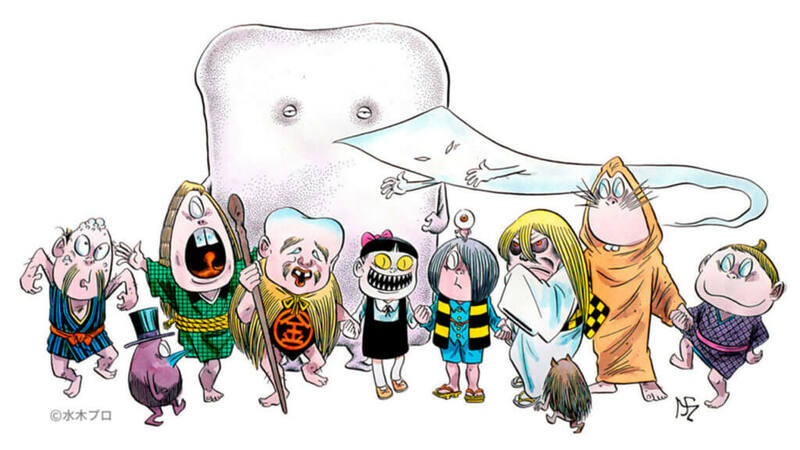 If fans want to catch up on the lore of Kitaro, Drawn & Quarterly has published several volumes of the series, beautifully translated by Zack Davisson. 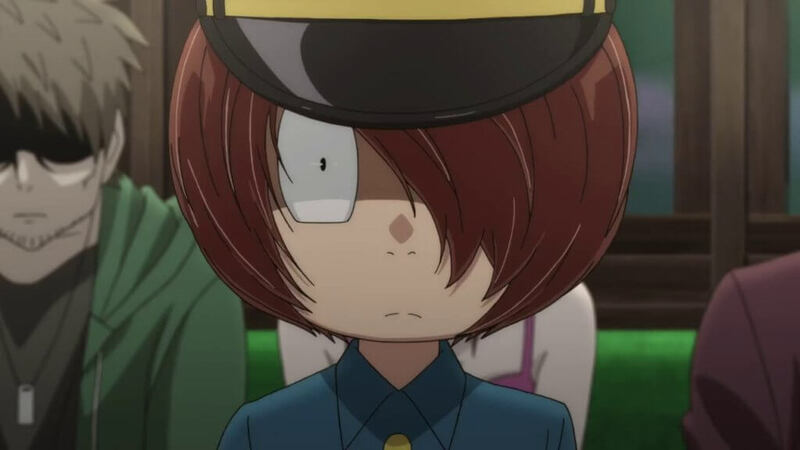 Although the 2018 anime has changed the world in which Kitaro was originally created, the same core values are present and Kitaro effectively adapts with them. If you’re looking for a good scare that’s family friendly, then I definitely recommend watching the series. Although it’s fairly safe for kids to watch, it dabbles in pretty dark themes. Along with the frights, Kitaro leaves the audience with life lessons to take to heart. However, the most brilliant thing is that Kitaro and his friends never outright lecture us. 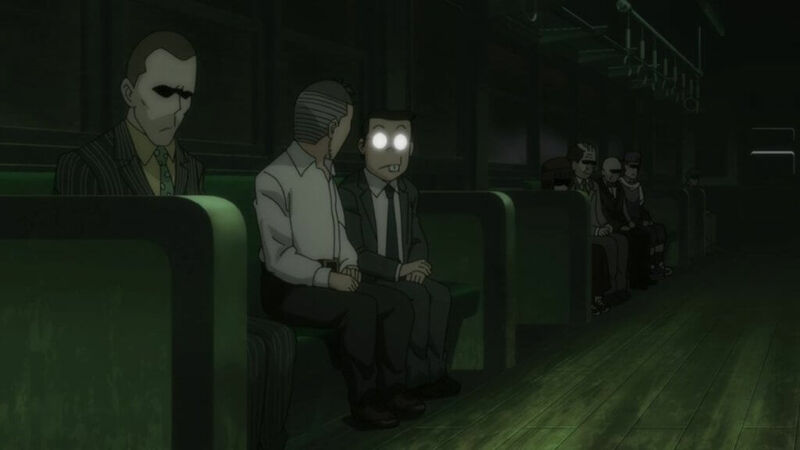 Talking about all of the episodes is impossible, so instead I’m going to talk about one of my favorites, titled “Ghost Train.” It’s a great starting point if people want a taste of the series because it stands alone from the rest and delivers an unsettling truth hidden as a cautionary tale. It begins with a bossy old worker eating and drinking with a friend, only to bump into Kitaro and Rat Man along the street. The worker has given terrible years of abuse and bullying to his colleagues, with some committing suicide as a result. This all comes around to him when he is whisked away on a mystical night train to the underworld. In a desperate plea, the worker begs Kitaro for his life and asks why he deserved this, to which Kitaro responds that he was just getting what was coming to him. The ghosts that the worker tormented pull him back further into the train as it descends to hell. 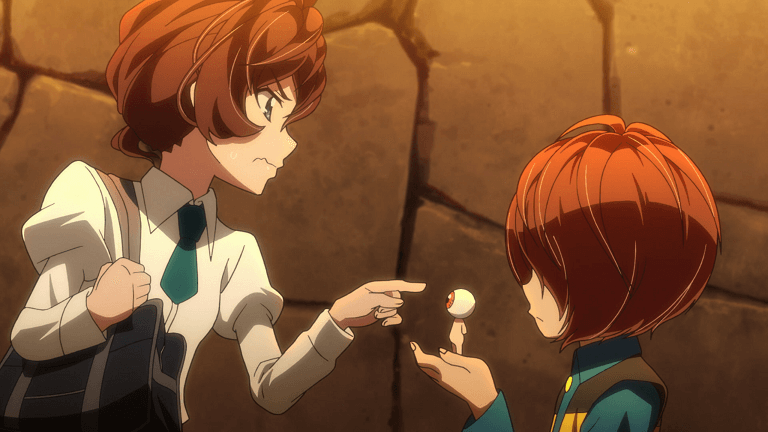 GeGeGe no Kitaro offers many twists and turns and this episode is a good example. I haven’t given away all that happens in it, but I’ll say that the episode comes back to haunt the viewer – in a way far more scarier and unsettling than any yokai. Kitaro once cautioned that yokai and humans should never spend too much time with one another. Yet in later episodes, it’s proven that coexistence can work. He serves as a mediator between the ordinary and supernatural realms and is quick to resolve conflict that arises between them. It’s this subtle social commentary that makes Kitaro such a pleasure to watch every episode. Mizuki demonstrates the empathy of his characters by their similarities and differences. A great episode titled “The Yokai Apartment Secret Story” demonstrates this. It tells the tale of an old apartment complex about to be torn down and sold by the late owners’ granddaughter Natsumi. Also included in the tale are three yokai inhabiting the complex: Rokuro-Kubi, Akaname, and Karakasa. They’ve been inhabitants in the complex ever since they befriended Natsumi’s grandparents, creating a delicate harmony within the household. Unbeknownst to Natsumi, the yokai have always been by her side since childhood, but have chosen not to reveal themselves to keep her safe. It comes to a touching end, with Natsumi realizing her mistake and preserving the sanctuary she and her grandparents called home along with the mysterious yokai. I feel episodes like this really showcase how different people can coexist, even if they come from different worlds. GeGeGe no Kitaro (2018) marks the first Kitaro anime to be licensed in North America, and this gives a great opportunity for new people to discover the franchise. If you’re also an avid reader, I do recommend checking out the original manga series as well. There’s plenty of action and comedy involved, as well as hints of drama that appeal to an older audience. More importantly, each episode introduces a new yokai for people who want to explore Japanese folklore and myths. So take some time and check out GeGeGe no Kitaro. Kitaro and his friends will be waiting for you. GeGeGe no Kitaro original manga. You can stream and catch up on the new series on Crunchyroll or you can read more about the series on Anime-Planet! My name's William Moo. I'm also known as The Writer Sits in the Back. I often write about anime, manga, film, and whatever I feel like. I also write fiction and make YouTube videos sometimes. Don’t let the fact that it’s technically a kid’s show scare you away! It’s a terrific series, and this great 2018 reboot just makes me want to find subs for some of the many earlier anime versions so I can see the evolution of Neko Musume’s design for myself!